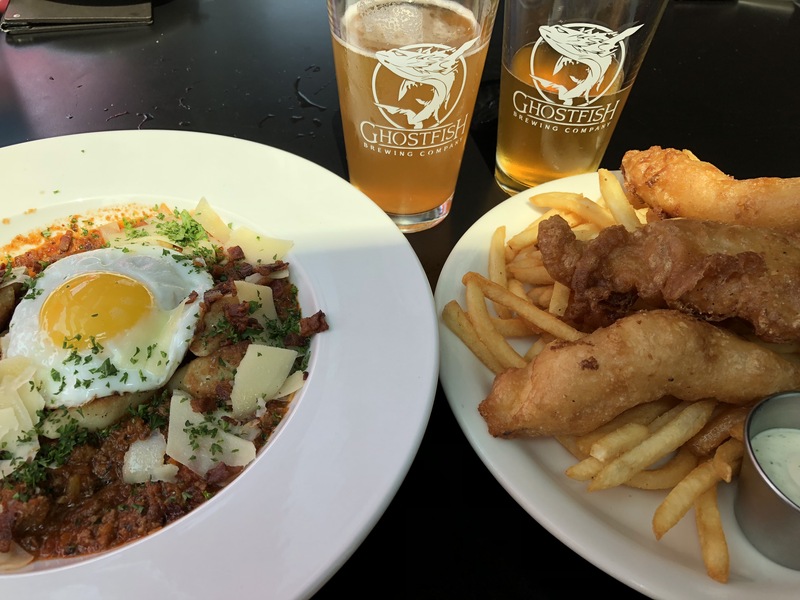 On a visit to Seattle we stubbled across GhostFish Brewing Company, a totally gluten free distillery, tasting room and restaurant. If was freaking awesome! I’ve only had beer from the tap one other time since I was diagnosed with Celiac over 10 years ago and that was New Grist. 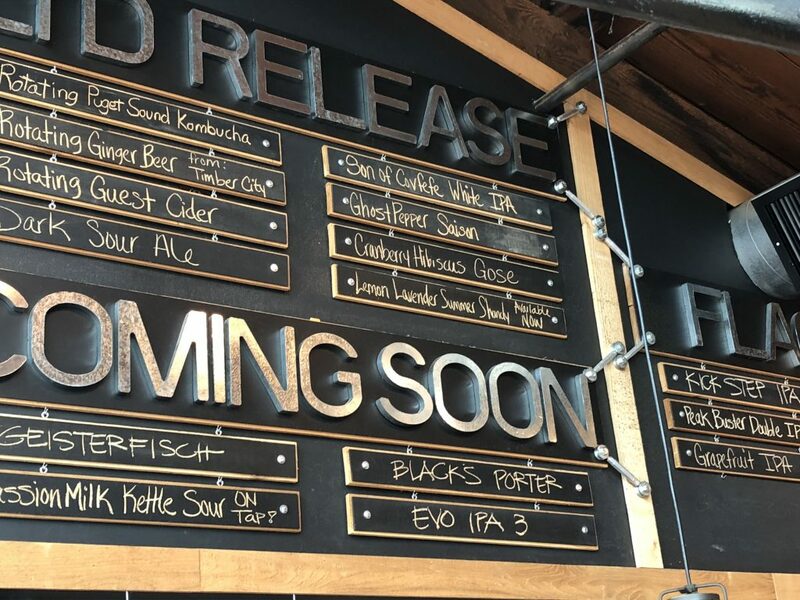 It was so refreshing to walk into a beer bar and actually have selections. The day we were there we had over 12 options, shown below. The place was awesome, service was great and… they allow dogs so if you’re traveling and miss your pups, you can get your pup fix! 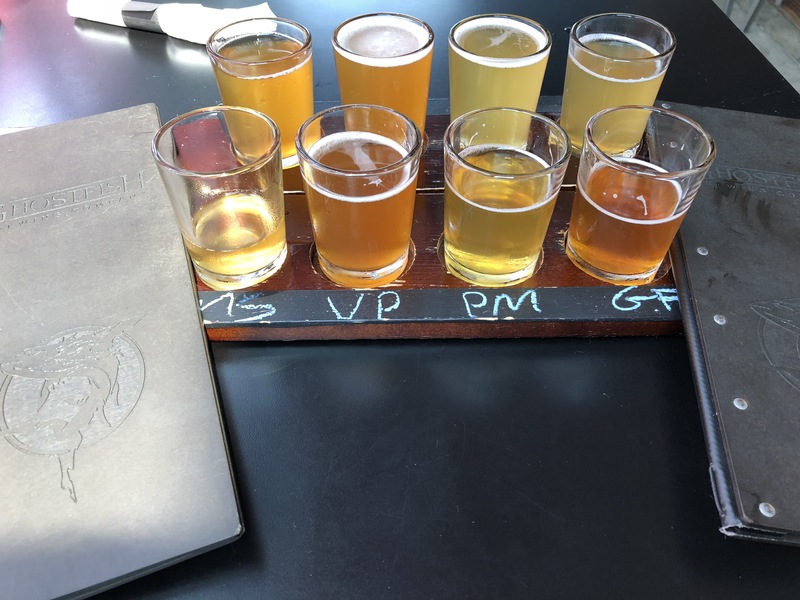 We did a couple of tastings, my favorite was the Ghostpepper Saisan and yes… it was spicy and delicious. My wife loved the Lemon Lavender Summer Shandy since it was a hot, sunny day (we got lucky). Not only do they have great gluten free beer, they have a fully gluten free dedicated kitchen! The menu varies by season, we had the gnocchi and beer battered fish and chips… you heard me right! Gluten free beer battered fish and chips! First time I’ve had that in over a decade. If you’re in the Seattle area I highly recommend stopping by. It’s down the street from both stadiums and the Starbucks office. Enjoy!